Marking the end of Buddhist Lent, this festival falls on the last full moon of the rainy season. All monks end their 3-month fast and those who were ordained for the phansa period leave the wat to rejoin their families. In the morning, offerings are made at temples around the country, and in the evening the people gather for Boun Heua Fai, or the Festival of Lights. This festival is also marks the end of Buddhist Lent and is meant to bring in the phanga naga or good luck. As part of the tradition, each household will make a small round boat out of banana leaves on part of a banana tree trunk into which they put flowers, incense sticks, candles, betel nuts, and sometimes food and money. Temples and villages also take part, creating larger and more elaborately decorated boats made out of bamboo and coloured paper. These boats are then paraded through town making its way eventually to the river. The handmade boats are delicately placed on the river with their candles alit. Prayers fill the air, giving homage to Buddha, the divinities who inhabit the river, and the Mekong itself. With the soft glow of candles reflecting on the water, the boats filled with offerings are gently sent floating downriver. It makes for a truly breathtaking scene. Following Boun Heua Fai, Vientiane hosts an exciting boat racing competition on the Mekong River the next day. Boat racing in Luang prabang is 29th September in 2019. Also on the last night of Buddhist Lent, Naga Rockets, or fireballs shoot out from the river’s surface where the Nam Ngum meets the Mekong. This can be seen in Thaprabath District, Bolikhamxay Province, as well as in Pak Ngum District, 60 kilometres east of Vientiane. ITB is the biggest travel trade show in the Asia-Pacific Region with over 9000 attendees and 750 exhibitors. Luang Prabang Half Marathon also known as the "La Procession” starts at the National Museum in town and comprises of 7k, 14k, and 21k races. This charity event raises money for a specific cause each year. Individual runners can also raise money to support a separate cause of their choice. The handicraft Festival has been internationally recognized where the costumers and traders came from different countries around Asia and some other continents. 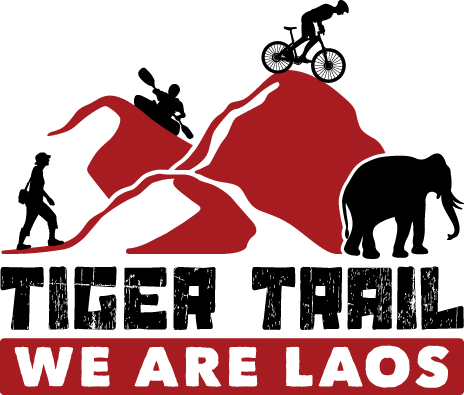 The festival occurs during the month of November at Lao ITECC. Beyond 200 professional artists from all over the world participates on this event. The fest showcases various products including jewelries, textiles, handicrafts, souvenirs, and even agricultural and food products which includes oil, tea and coffee. The festival gives courage and appreciates the culture, traditional designs, and skills of every individual.